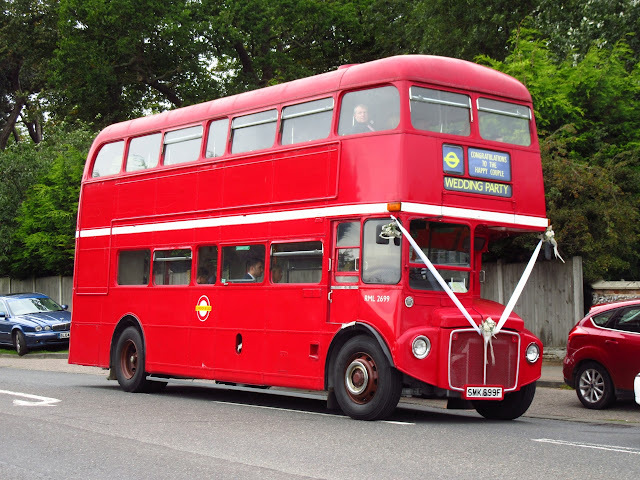 Whilst driving through Caister On Sea this afternoon i spotted a Routemaster on a wedding hire, the vehicle in question was RML2699 SMK699F. Once home i decided to research the vehicle as it was not one familiar to me in local ownership, after a few messages swapped i found it it is currently on loan to Awaydays of Wood Dalling in Norfolk to cover for its accident damaged RM2151 CUV151C which was hit from the rear on the A47 in May as you can see below. 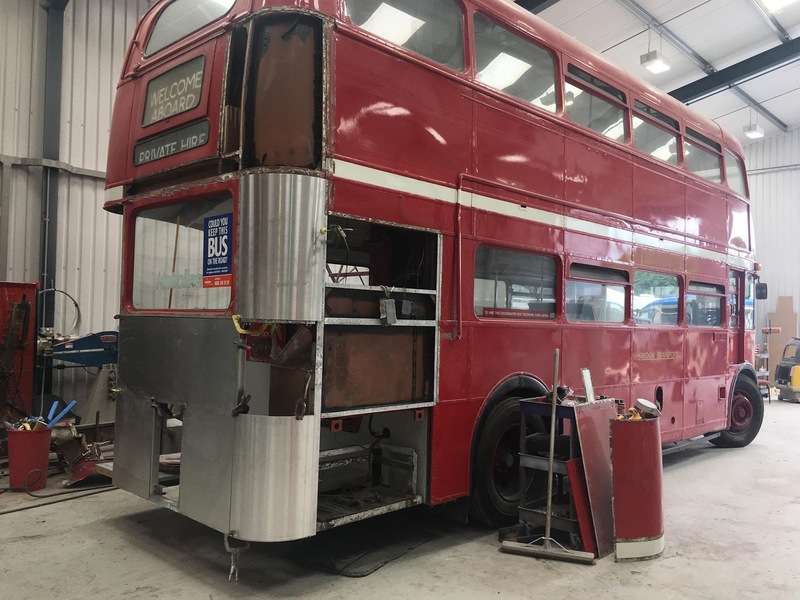 It is now under repair and should be back in use in the not too distant future. 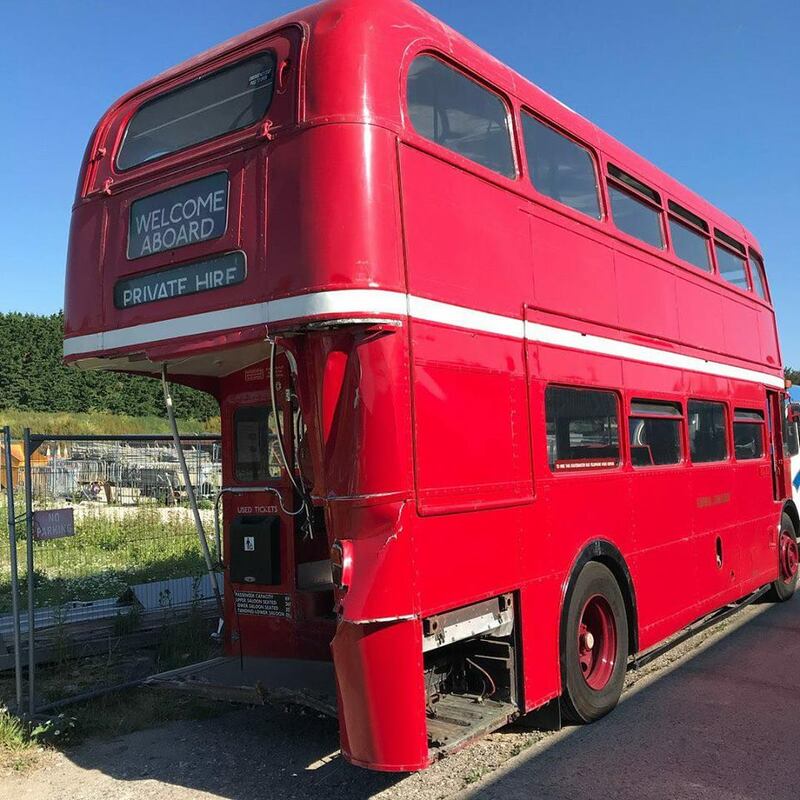 RML2699 is on loan from Go Coach in Kent and is due to return to its owners on the 16th of this month. It will be in Wymondham tomorrow for the Heritage Bus Day there and next weekend it will be in Kings Lynn. Many Thanks go to Sam Larke for all the information and photos of RM2151, A welcome addition to my post!